Solar panels whether thy are installed on a house, in a field or on a solar flood light, convert the available sunlight into electricity. And because these panels are expensive and we need a lot of energy the single most important factor that we should be interested in is their efficiency! Solar panel efficiency ratings are measured in percentage that gives us a reading of how much of the light that shines on a panel is converted into electricity. So, for example, if a solar panel can utilize half of the light that shines on it then it would have a 50% solar efficiency, but the real world efficiency ratings are much lower and usually are in the range from 10% to 20%. The light that is also known as electromagnetic waves that allows us to see actually consists of various different wavelengths or spectrums and human eyes can see a certain part of this spectrum called visible light. And even in this visible light there are a lot of different spectrums that we see as colors and knowing that this visible light is only around 2.3% of the actual electromagnetic light spectrum we can see how much light a solar panel needs to convert into electricity. And because of this the most efficient solar panels made in test labs can only convert around 46% light into electricity but these panels use multiple layers and if they could be mass-produced they would still cost a small fortune so they can be used only in very narrow applications like space exploration. In the real world Solar panels are made from one layer and usually from silicon crystals or other materials. One layer solar panels are way more cheaper than these lab-made panels and they can be manufactured in a manner that makes them affordable for us, the consumers, and other businesses that use these panels in their products. But because the efficiency of a solar panel is set when it is manufactured the end user of that panel (you and me) can’t do anything to increase it further but there are a lot of ways we can sabotage our electricity generation from these panels. Just imagine how much variables there are included in the solar-to-electricity-to-light process. If we take a regular solar powered flood light then the processes and parts included are, temperature of the panel and battery, the panel angle towards sunlight and sunlight strength, solar panel age and cleanliness, the battery size, resistance and efficiency and much much more. And that is why in this article I will try to summarize all the aspects that are included in the end user solar panel efficiency. And that, hopefully, will give you some examples and points to thing about when you buy and maintain your solar panels. As we found out in the previous article, one layer solar panels come in three main types that are mono-crystalline, poly-crystalline and Thin-film and each of those have their own efficiency ratings. But even within one solar panel type there can be a slight efficiency disparity because not all these solar cells are made by one manufacturer and even not by one single manufacturing process. So depending on the type and the process that it was made you can get that 10% to 20% efficiency range. I mentioned this because before we dive into various efficiency reduction and affection mechanisms you need to know that if you get a better panel then it will produce more energy. And even if your panel is covered with dust it can still generate more energy than a panel that is kept in perfect condition but from the factory comes with a much lower light to energy conversation efficiency. Because solar panels use sunlight but our planet constantly moves around the sun and also spins, we have seasons and constant day-night cycles effecting the energy generation efforts. Night is the single weakest point in any solar based energy generation solutions but besides storing the energy that is produced in daytime there is nothing we can do to affect this. But we can mitigate the effect of seasons because the angle of the sun relative to our solar panel can be changed to get more power out of the same solar panel. First you need to position you solar panel in an optimal pitch and orientation to get the most direct sunlight throughout the day. Depending on the place where you are on earth this will be different. But, for example in the northern hemisphere your solar panel should be positioned to the south and the panels tilt should be equal or around the same as your latitude but for maximum energy generation you can change it to plus 15 degrees in the winter season and minus 15 degrees in the summer season. The effect of changing the angle of your panel multiple times a year will not be significant and you can generate up to 5% more energy, but for smaller solar panels this effect will be so minuscule that you can basically set and forget them. Then there also is the variable of shade and how much shade will be on the panels during the day from the surrounding trees or even the rooftop itself. Usually if solar panels are wired in series then one cell being in shade can decrease the output of the whole group but again for smaller panels like you can find on solar flood lights this is not that important. If you have a solar floodlight and are thinking about the efficiency of your panel then my suggestion for you is to thoroughly research the best solar panel overall angle in your place of residence and then set it up and don’t bother adjusting it. Those adjustments in the best case scenario will give you 5% power output from your light and that is a minuscule increase and I think not worth the hassle of finding the exact angle that could get you those extra captured photons. Contrary to popular belief solar panels are not the most efficient in the hot summer months but quite the opposite the lower temperatures of winter will give a significant boost in solar panel efficiency. But because winter days are much shorter than the overall energy generations levels out and is lightly lower in winter because of snow and more cloudy days. Solar panels are usually tested under laboratory conditions of 25 degrees Celsius and each panel has a set temperature coefficient that measures the drop in produced electricity for each degree above standard testing conditions (STC). For example the amorphous solar cells usually have a temperature coefficient of around 0.25% but crystalline panels have around 0.45%. That means that for each degree above 25 C the panel loses that much of its electricity output and in the heat of a summer when temperatures can get to 45 C in the air and above 65C inside the metal solar panel housing then crystalline panels can lose up to 20% of their energy production but amorphous panels up to 10% of their output. 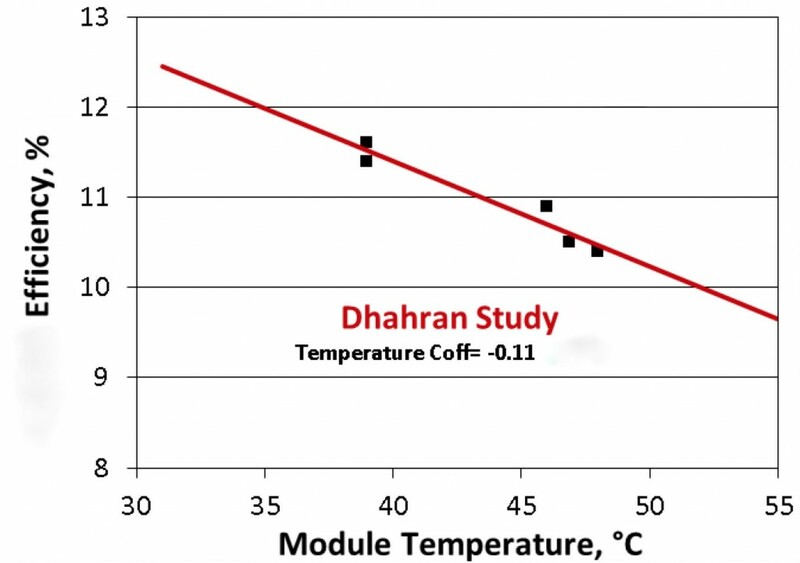 This efficiency loss happens because this increased temperature rises the conductivity of the semiconductor material that is inside the panel by inhabiting the charge separation and that in turn decreases the open-circut voltage. Place your panel at a steeper angle – When you place your solar panel at a steeper angle that will not allow snow to accumulate on the panel as it will usually slide right off and then there should not be any efficiency drop. 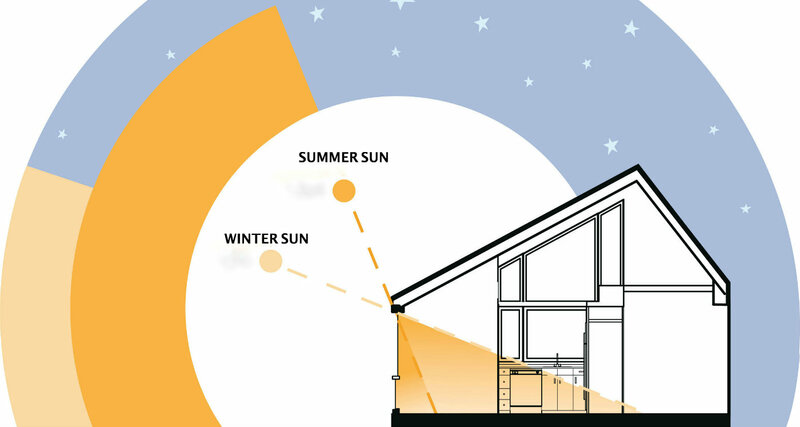 But if you use this method you should turn your solar panel back towards the sky as the winter ends because in summer sun is right over our heads and that way you can maximize your energy generation. Clean the solar panel after snowstorms – The second method is to simply now and then clean the snow from your solar panels but this can be done only if your panel is mounted in a well reachable place and can be a bit of a hassle if you get heavy show fall during the winter months. 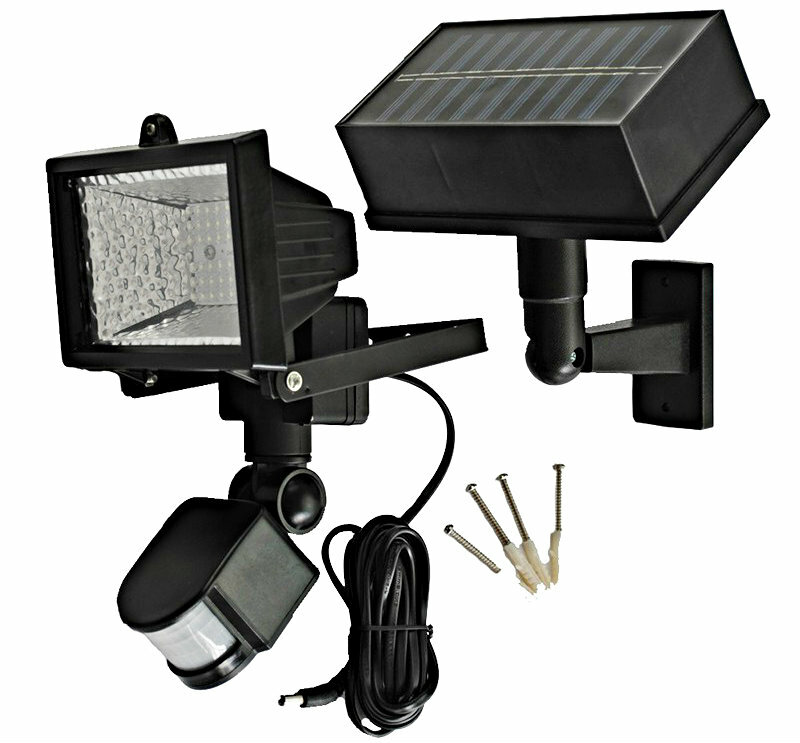 For solar floodlights these tips are valid but again they will not impact the output that much. The only thing that can dramatically decrease the energy generation is snow on your lights solar panel and the best way to avoid that is to angle it a bit steeper than you would normally do it. And then you will not have to constantly think about your floodlight and is it getting enough power to last all night. Like the snow that I mentioned in the previous chapter there are other residue that can accumulate on a solar panel and can decrease the overall electricity output. Usually solar panels are places either horizontal facing directly in the sky or at an angle. Because of wind there are usually sand and other dust-like materials transported from the ground to all solar panels. But because of rainfall those solar panels that are set at an angle usually do not get a significant reduction of energy for you to clean them. But for those panels that are mounted horizontally they can accumulate a lot of dust and rain & wind is not sufficiently strong to wash those residues off of that horizontal surface. And that means that cleaning a horizontal panel after a long summer can increase its power output by as much as 50% but cleaning an angled panel at maximum will increase the efficiency by about 7%. For solar light owners that means there is almost no economical sense of cleaning your panel if it is set up at an angle but if it faces directly in the sky then you can maybe clean it once a year. But the best choice once again is to set up your panel at an angle and the steeper the better but don’t overdue it because then the efficiency will be reduced because of the steeper panel to sun angle. Another factor that can influence your panels efficiency is the age as solar panels usually lose their efficiency ratings over time. Usually solar panel manufacturers give a 90% output warranty at the 10 year mark and 80% output guaranty at the 20 to 25 year mark. Usually the manufacturers state that the performance decreases by about 3% in the first year and then by about 0.5% every year after the first one. But in reality almost always the decrease is much more slower and you can reasonably expect a 0.2% to 0.3% efficiency decrease every year. And that basically means that you will most definitely not feel that efficiency drop and even more so if you use solar panels for small scale lighting as usually the battery and even LED diodes will stop working before you will feel a significant reduction in energy. And because usually solar panels are made to last for decades even the ones that were made in 1980’s don’t show a significant loss in efficiency today. As you may remember from your electronics class in high school every electrical device has its own electrical resistance that, simply saying, inhibits the free flow of electricity. There is resistance in the solar panel itself, the wiring that connects it to the battery and also the battery can have resistance. And if the manufacturer has not properly checked every component this can lead to a loss in overall efficiency of your panel. Usually buying a floodlight with a solar panel you get a complete package with all the cables and parts but if you are assembling a high-end solar light then you need to know more about how resistance affects the flow of electricity and how, for example, a longer cable can decrease the current flow by as much as 10%. I will not go into much details on these high-end lights but what you must know and that could potentially effect your buying decision is the cable length that connects your light and the battery. Usually every cable has its own resistance that is expressed in ohms and form the Ohm’s law you can calculate the drop in voltage that this cable will have. But because usually flood lights come as a whole package and there are not much information about those components I advise buyers to choose lights with shorter cables as that will usually insure less resistance and more electricity and light! If you are using solar power and storing electricity in a battery for later use you also have to know how much electricity will be lost during the charging process and how much energy does that battery loose as time passes. Usually solar flood lights come with pre-packaged batteries that usually are either Lithium or Lead-Acid type and each of these batteries have their advantages and disadvantages that you can reads in my previous article. But the thing that you must understand is that every battery has its own charge-discharge cycle limit and when you constantly use that battery the energy capacity will slowly decrease so even if your solar panel is producing energy at 100% capacity that energy may not be transferred to your battery because it has lost its energy storage capacity. Usually solar floodlight batteries last for one to two years and then you need to replace them as by then their capacity can be greatly diminished and that in turn leads to less light time for your lighting unit. This is not directly related to solar panels but it is very crucial that you understand all the aspects that are included in your solar light unit and how an aging battery can impact your light output even if your panel is working perfectly. Solar panels and solar flood lights are usually pre-made with certain efficiency standards and there is not much that we can do to increase them but the tips above should help you not to loose efficiency due to dust or show and wrong solar panel angles.